Successful defense of a broker-dealer before state securities commission into alleged distribution of unregistered securities. Multiple defense verdicts for broker and broker-dealer dismissing claims for fraud and unsuitability totaling more than $3 million (plus punitive damages and fees) by purchasers of variable annuities. Denial of class certification and grant of summary judgment for telecommunications provider on unjust enrichment and commercial deception claims in multiple states. 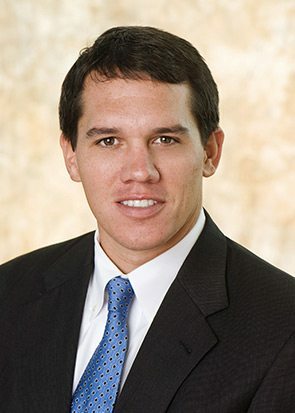 Kip has broad experience in general commercial and securities litigation, ranging from complex contractual disputes and business interference claims to defending individual and class-wide insurance, annuity and securities fraud cases, lender liability cases, mass tort cases, and shareholder derivative actions. Much of Kip’s recent work in the financial services industry includes the defense of customer claims on issues of suitability and selling away, defending trust institutions and trust officers in breach of trust actions and extensive representation of both financial advisors and broker-dealers with respect to non-compete and non-solicit agreements and injunctive relief actions. Kip has successfully defended financial advisors and broker-dealers in numerous FINRA/NASD final arbitration hearings, achieving multiple zero awards under federal and state securities laws. Additionally, he recently obtained a multi-million dollar verdict for a regional construction firm following a two-week arbitration in a dispute arising from a joint venture agreement. Kip has also successfully litigated jury trials in both state and federal courts, having recently obtained a favorable settlement for a local client following a two-week trial in a highly publicized case in Jefferson County. Kip also serves as a FINRA arbitrator.